You may think that coloring books are for younger kids, but research indicates that coloring can have a powerful effect on teens and adults, too. When coloring, we activate different areas of our two cerebral hemispheres, says psychologist Gloria Martínez Ayala. "The action involves both logic, by which we color forms, and creativity, when mixing and matching colors. This incorporates the areas of the cerebral cortex involved in vision and fine motor skills [coordination necessary to make small, precise movements]. The relaxation that it provides lowers the activity of the amygdala, a basic part of our brain involved in controlling emotion that is affected by stress." In simplest terms, coloring has a de-stressing effect because when we focus on a particular activity, we focus on it and not on our worries. But it also "brings out our imagination and takes us back to our childhood, a period in which we most certainly had a lot less stress." This leads us immediately and unconsciously to welfare, exposes the specialist. "I recommend it as a relaxation technique," says psychologist Antoni Martínez. "We can use it to enter into a more creative, freer state," he assures. We can also use it to connect with how we feel, since depending on our mood we choose different colors or intensity. "I myself have practiced that. I recommend it in a quiet environment, even with chill music. Let the color and the lines flow." Clearly there's something to this, since the University of Chicago has a link to Mandala Coloring Sheets on it's Health and Wellness page, while some colleges are putting out coloring books and crayons during finals to relieve stress. Try starting or ending the day with some coloring. Or use it when students seem particularly stressed out or at the end of a long week of work. Here are some resources that you can print out and share with young people. Also consider having some of your more artistic students create their own coloring pages that can be shared with their classmates. 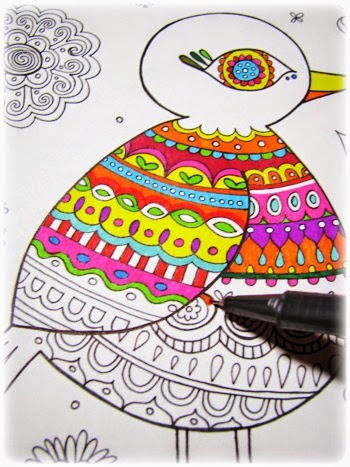 Google Image Search of Adult Coloring Pages--TONS of great stuff here! 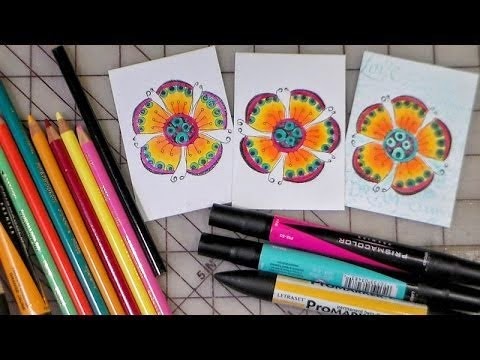 Grab some crayons, markers or colored pencils and start relieving some stress!